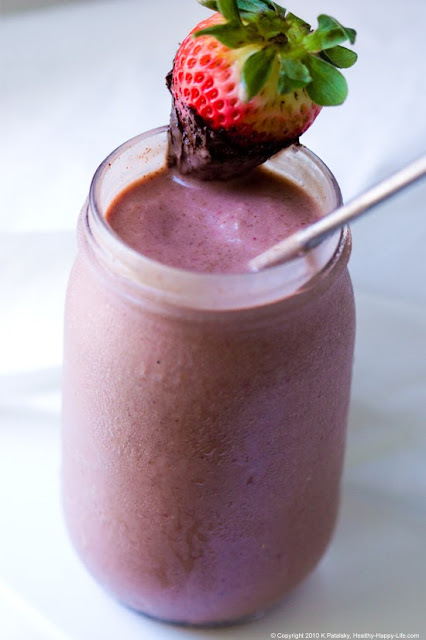 Chocolate Strawberry Banana Shake. Dessert-Approved. Chocolate-Covered Strawberries. 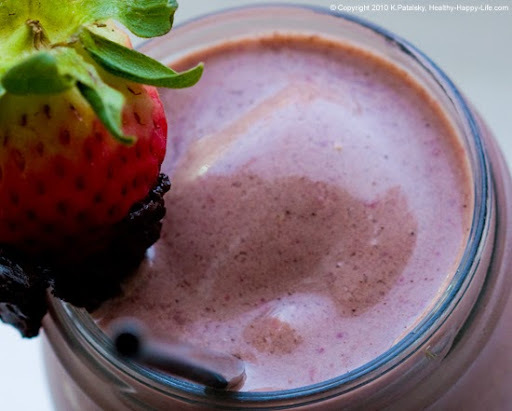 This shake reminds me of romantic, chocolate-covered berries. 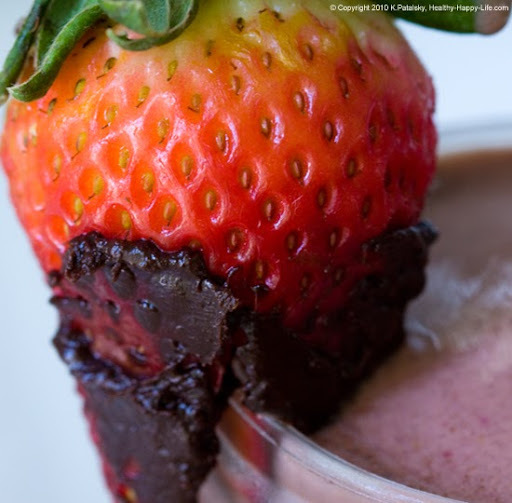 Tart and sweet with a warm chocolaty bite. The recipe is easy. You'll want to make sure to have plenty of frozen bananas in your freezer. I am always stuffing sliced ripe bananas into baggies and tossing them in my freezer for smoothies. 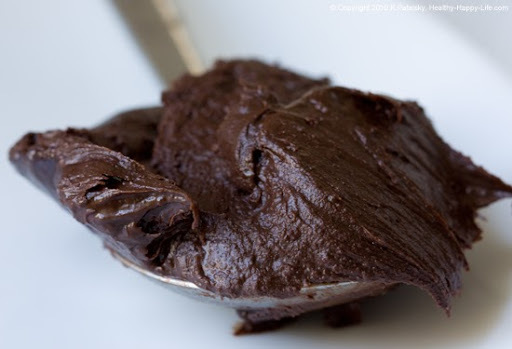 Chocolate Spread: better than powder. 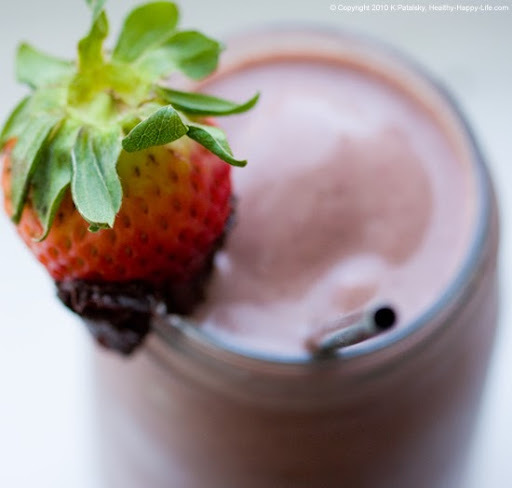 Most people add a powdered chocolate ingredient to their choco smoothies and shakes. 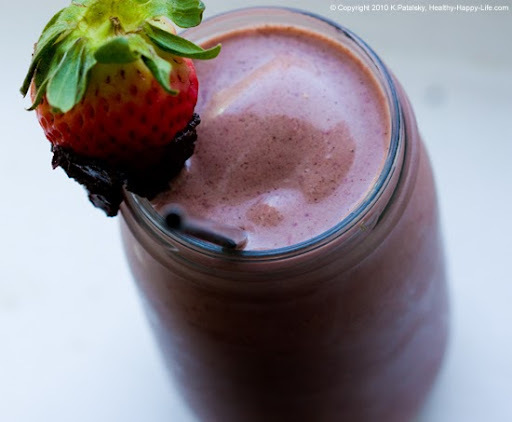 Cocoa powders, chocolate smoothie mix, etc. 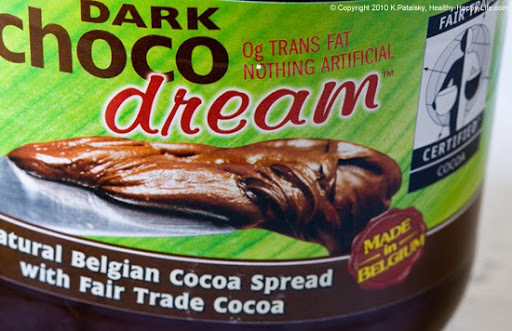 Well I've tried all of those and I absolutely think you need to change up your cocoa powder for some chocolate spread. 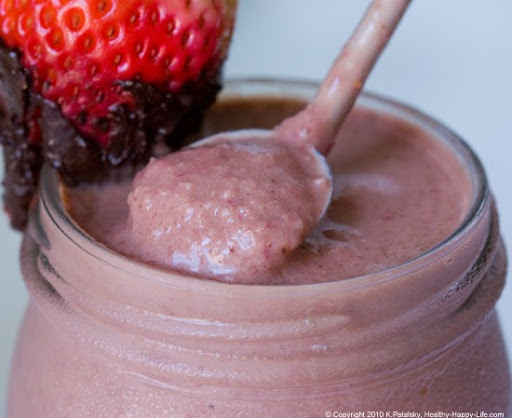 A heaping tablespoon adds a creamy chocolate boost to your blended. Tiny beads of chocolate will fluff up your frosty beverage and prevent it from becoming too dry - something a powder mix can easily do. Blend. Pour. Serve. Sip. Smile.